An evening dedicated to 3 wines from the Finger Lakes area, paired with excellent local products. 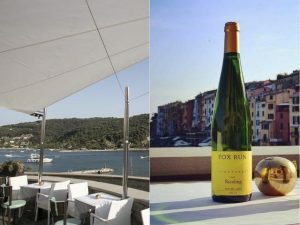 On Friday, October 20, wines from the Finger Lakes area in Upstate New York (whose microclimate is perfect for white wines such as Riesling and Ice Wine) are back at Grand Hotel Portovenere’s Palmaria Restaurant. – “Riesling” by Forge Cellars (Burdett, NY), a fruity, sapid, bone-dry white with good persistence, awarded 92 points by Wine Spectator. Plus, to go with the wines, local finger foods prepared by Chef Francesco Parravicini: prawn skewers with herbs, octopus and cailletiers, anchovy and buffalo mozzarella toasts. And from 4pm to 5pm, 3 cheeses by Cooperativa Casearia in Varese Ligure: “Gratta a Latte Crudo”, “Tomini Bio”, and “Formaggio Stagionato di Varese Ligure allo Sciacchetrà”. 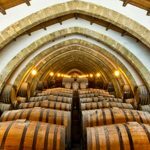 With its tastings, Palmaria Restaurant is increasingly becoming a benchmark for great food and drinking. At the same time, it demonstrates its ability to understand Grand Hotel’s international essence, while promoting local products in an innovative way. The event on October 20 is one of the last opportunities for a “gourmet” site inspection at Grand Hotel Portovenere, considering it’ll close for the winter season on November 5. Its doors will reopen on March 15, 2018, offering hotel guests and business events’ attendees the beauty of this charming village on the East Coast of Liguria. Grand Hotel Portovenere, located in the most fascinating spot of the namesake UNESCO heritage site, has 2 meeting rooms and a sea-view, gluten-free friendly restaurant. Grand Hotel Portovenere is the only hotel with meeting halls in Portovenere.